We’ve just announced our star headliner for the Brilliance at the Bankhead Gala this September! 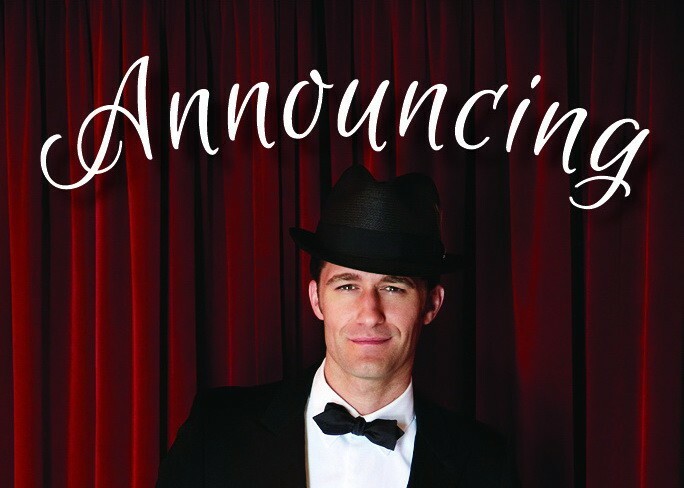 Broadway and television star MATTHEW MORRISON, best known as Mr. Schuester on the award-winning television show GLEE, will grace the Bankhead stage Saturday evening, September 7, accompanied by the Livermore-Amador Symphony. Opening the 2019-2020 Bankhead Presents Season, the gala is the largest fundraising event of the year for the Livermore Valley Performing Arts Center. Proceeds support activities at both the Bankhead Theater and the Bothwell Arts Center, as well as our broad educational and cultural arts outreach activities. The gala event includes dinner and live music on the plaza before the show, as well as exciting live and silent auctions inside before the performance. Sponsorships are available now at all levels. For information email Chris Carter, director of development and communications, or call him at 925-583-2311. Tickets will go on Member Presale May 22 at the Season Launch Party and then available to the public beginning June 12. For membership information, email Brittany Mulgrew, Member Services Manager or call her at 925-583-2305. Matthew Morrison been called a “triple threat” for his exceptional singing, dancing and acting talent and has been nominated for Tony, Emmy and Golden Globe Awards. He made his debut on Broadway as a teen, and got his first big break originating the role of Link Larkin in Hairspray. He followed that up with roles in The Light in the Piazza and South Pacific. His most recent stint on Broadway was in the starring role of J.M.Barrie in the musical Finding Neverland through 2016. While best known for his central role on Glee, Morrison has also been a guest on such television hits as The Good Wife and Grey’s Anatomy. He starred in the film What to Expect When You’re Expecting and, as a singer, has released two recordings – his debut album featuring duets with Sting and Elton John and the more recent Where It All Began, an album of Broadway standards. He currently is serving as one of three dance captains on Simon Cowell’s new BBC One competition series, The Greatest Dancer. in the intimate Bankhead Theater at the most exciting event of our season!